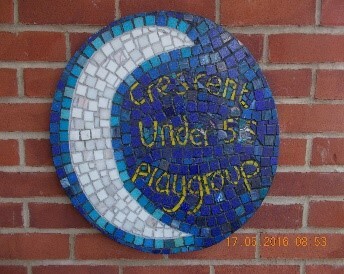 Crescent under 5s was founded by parents in 1970 in a house in Hamilton Road and the following year moved to the Reading Activities Centre where it grew from a small group to a thriving registered pre-school. In 1991 we moved to a self-contained building within the grounds of Alfred Sutton Primary School, with whom we enjoy a close and beneficial relationship, whilst remaining an independent organisation. We are non-profit making, and are a registered charity run by a Committee and a group of dedicated staff and volunteers. The aim of the pre-school is to provide opportunities for 2½ - 5 year olds to meet and play together regularly. The activities at each session are designed to allow the children to learn through play and are led by the childrens’ interests, comments and ideas, developing the appropriate skills, which will give them confidence to move on to nursery/school. This is achieved in a secure and happy environment with activities such as painting, modelling, sand and water play, constructional toys, and imaginative play, together with story and music sessions. We are fortunate to have a secure outdoor play area, which is used regularly, in most weather. Within each session there is a snack time, where children are offered milk or water and a healthy snack. We offer lots of messy activities and water play etc so children should wear appropriate clothing. Your child does not need to be toilet trained in order to join our pre-school. If your child is toilet training, we will support this process and ask that several changes of clothes are supplied. 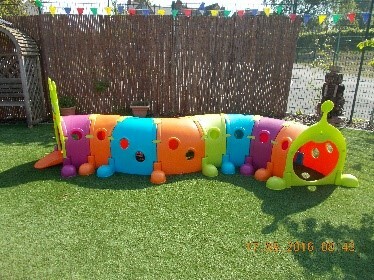 As a charity, this pre-school is managed by a group of volunteers made up of people from the families of the children that attend the pre-school. This approach ensures that the service we offer is one that our community want. As we are listed as not only a charity, but a Company Limited by Gurantee, you automatically become a member of our Committee when your child joins us.. We hold meetings every term and an Annual General Meeting once a year, at which people are elected to the key roles of Chair, Treasurer and Secretary. There are also other roles such as fundraising and equal opportunities where you can get involved. You are welcome to come to all open meetings and we would love you to support us with our fundraising wherever possible. Do you have a talent you could share with the children such as cooking or music? There are several behind the scenes jobs that help with the smooth running of the pre-school - maybe you could volunteer for one of these (e.g. washing, mending, DIY, computing, gardening, window cleaning). Fundraising.How you can help us! We use any funds raised to purchase a wide variety of resources that enrich our curriculum and inspire awe and wonder in our Little Learners! If you want to find out more about Crescent Under 5s program and upcoming events then please contact us. We would love to hear from you!